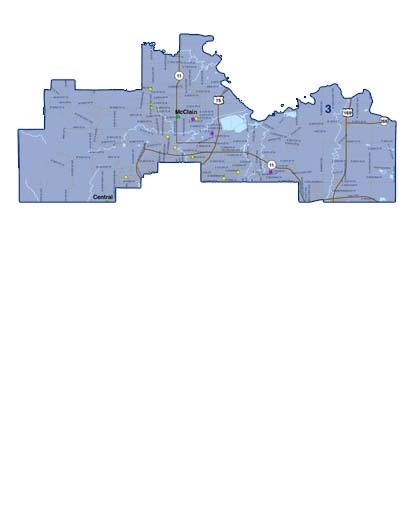 The Tulsa Public Schools Board of Education is an elected board of seven community leaders who serve as the governing body for Tulsa Public Schools. 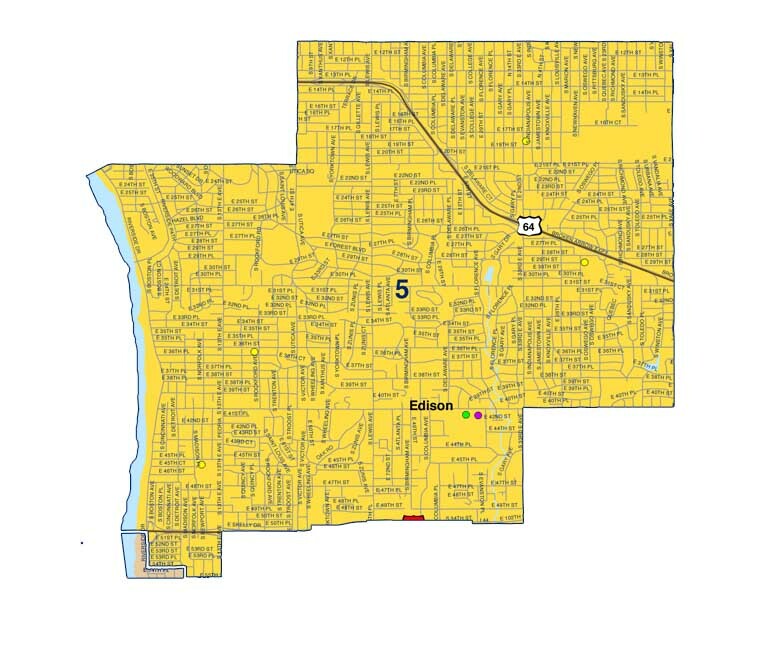 Board members serve four year terms, and this voluntary role requires a great deal of time, energy, care, and commitment to brighter futures for Tulsa children. We are deeply grateful for the tireless dedication of our board members. 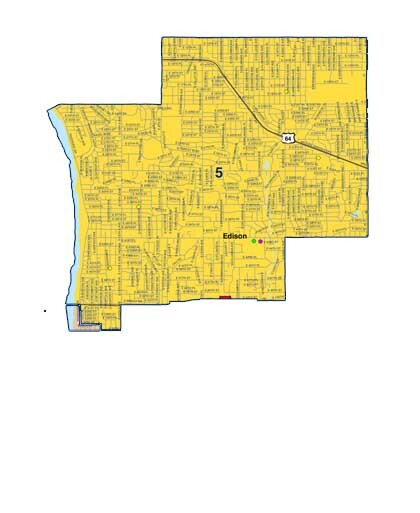 The board is responsible for establishing policies under which the district operates while acting within the framework of state and federal laws, while meeting the unique needs and concerns of the communities they serve. 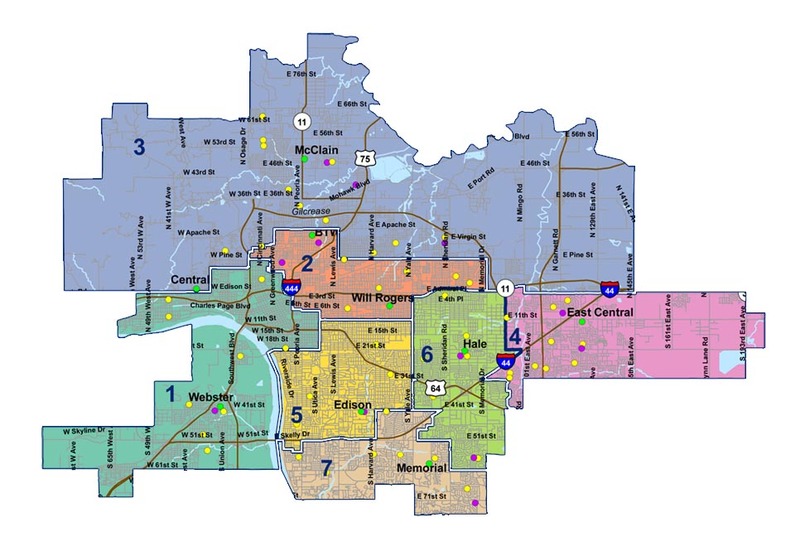 As civic leaders, our board members face complex and demanding challenges and contribute hundreds of hours each year leading Tulsa Public Schools to Destination Excellence. 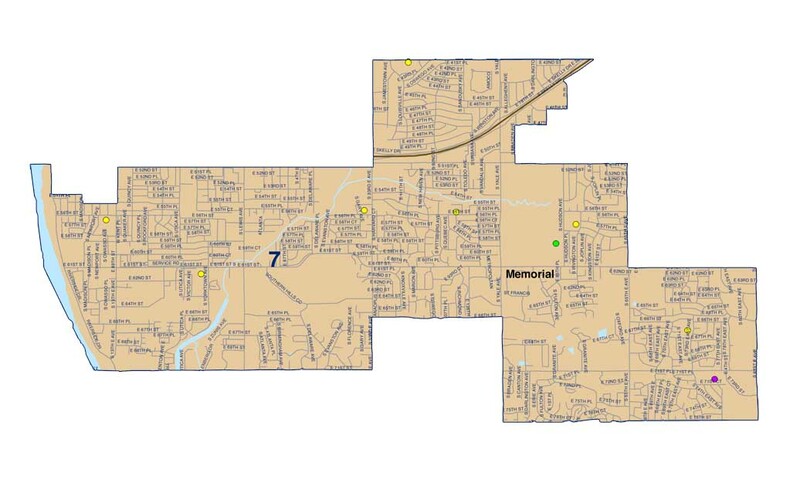 Board members are listed by district below, along with a map of the district boundaries, information about each of their backgrounds, and a contact email address. 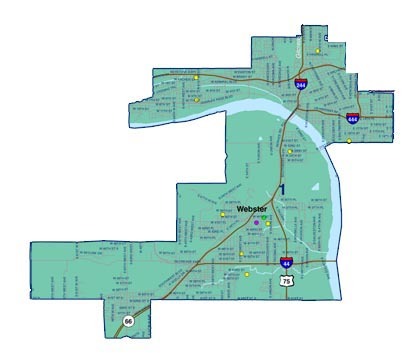 Schools in Ms. Woolley's election district include Wayman Tisdale Fine Arts Academy, Clinton West, Council Oak, Emerson, Eugene Field, Robertson and Mark Twain elementary schools; and Webster Middle and Webster High School. Born and raised on the island of Puerto Rico, Jania Wester came to the United States to attend college. She received her Bachelor’s in Education from Oral Roberts University and her Master’s in Educational Leadership from Oklahoma State University. She was first hired as part of the founding faculty of Kendall-Whittier Elementary in Tulsa Public Schools, where she spent 14 years, the last two of those years as one of their assistant principals. She then became the first Latinx principal of Henry Zarrow International Elementary School, a Tulsa Public Schools language immersion magnet program, for four years. Her passion for bilingual education and community engagement is clearly evident in her work and in the high bar that she sets both for herself and those she has led. She and her husband, Kirk, have been married since 1996 and they have 3 children: Sanjuana, Markos and Isabela. They have chosen to raise their children to be bilingual, bi-literate, and change agents in the poverty cycle. Jania and her family intentionally moved into the Kendall-Whittier neighborhood in 1998, when it was known as the Red Light District and they have not only joined their neighbors in the transformation of their neighborhood but have truly embraced the beauty that comes with living in a multi-cultural and mixed income neighborhood. 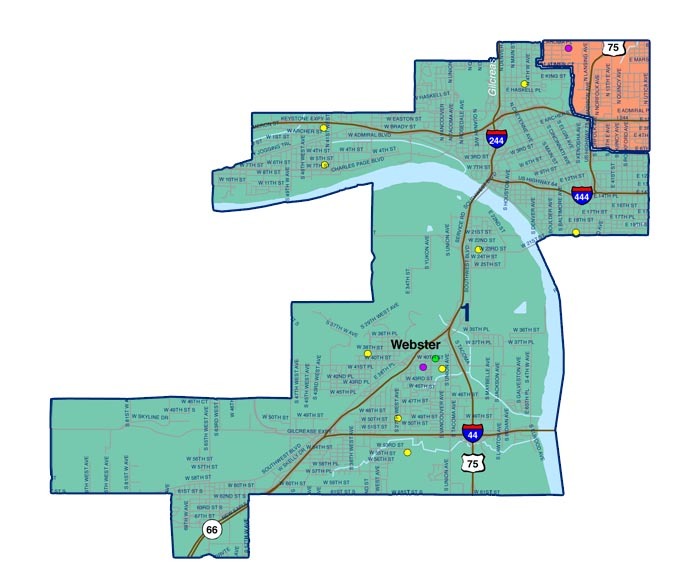 Schools in Ms. Wester’s election district include Kendall-Whittier, McKinley, Mitchell, Owen, Sequoyah, and Springdale elementary schools; Carver Middle School and Rogers College Jr. High; and Rogers College and Booker T. Washington high schools. Biografía también disponible en español. Ms. Jennettie Marshall was elected to her post in April 2017. Her term will expire in February 2021. Ms. Marshall has a strong history of serving people through her ministerial duties, funeral service duties, and volunteer work. Jennettie retired from the State of Oklahoma where she worked for the Department of Corrections and the Department of Human Services. She also served the City of Tulsa as a police and fire chaplain and was trained in emergency disaster response and hostage negotiation. In 1994, Ms. Marshall established Reclaim Inc., a program that specializes in serving as a "vehicle of change and r4edirection" for families, juveniles and adults. Jennettie holds an associates in political science, bachelor of science in corrections, masters of science in business management, associates in applied science in funeral service, attended Phillips Theological Seminary and is completing her seminary coursework through Andersonville Theological Seminary. She is the founding pastor of Living Sanctuary Evangelistic Ministries and previously served as Senior Pastor of Snowden Chapel and Macedonia Christian Methodist Episcopal churches. Ms. Marshall is the proud mother of three children, DeAndrae Sr., LaKesha Caraway and LaToya (deceased). She is the proud grandmother of twelve grandchildren. 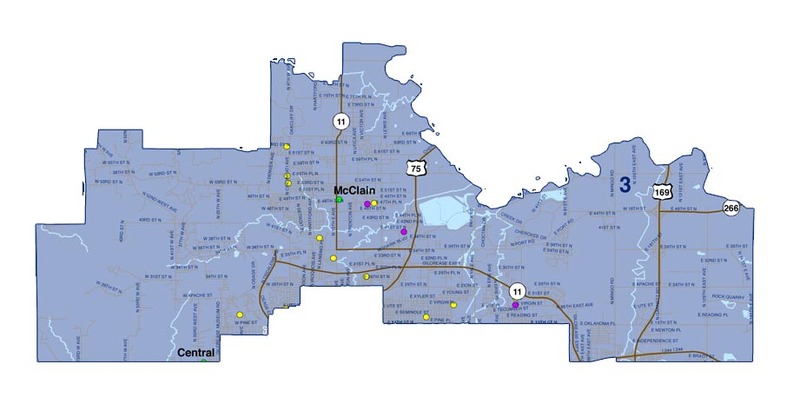 Schools in Ms. Marshall’s election district include ECDC Bunche; Academy Central, Anderson, Burroughs, Celia Clinton, Gilcrease, Hamilton, Hawthorne, Unity Learning Academy, Penn and Whitman elementary schools; Dual Language Academy; Monroe Demonstration Academy; McLain 7th Grade Academy; Central Jr. and Sr. High and McLain Jr. and Sr. high schools. Ms. Keller was elected to her post in February 2018. Her term will expire in February 2022. 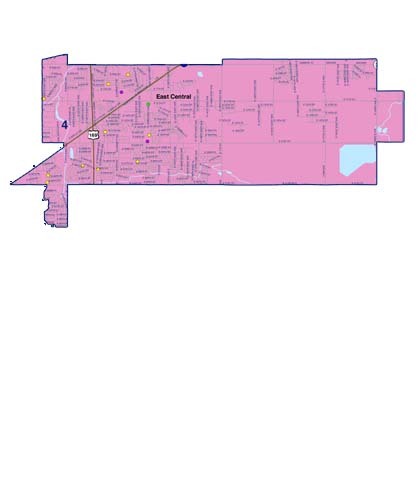 As a fourth-generation East Tulsa resident, Ms. Keller attended Disney Elementary School, Foster Middle School (currently East Central Junior High School) and East Central High School. Ms. Keller graduated from the University of Tulsa with a bachelor’s degree in history and received her teaching certification from Northeastern State University. Ms. Keller is currently working on her master’s degree in history at the University of Tulsa. Ms. Keller began teaching at Owasso Ram Academy in 2006 as a history teacher. She was selected as Teacher of the Year at the Ram Academy in 2011. Ms. Keller is an active member of the Oklahoma Education Association. 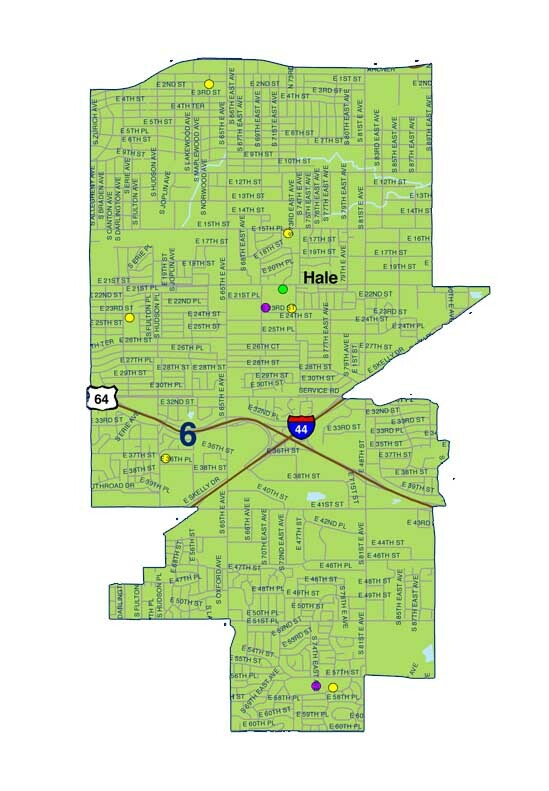 Schools in Ms. Keller's election district include: Cooper, Disney, Huerta, Kerr, Lindbergh, Lewis and Clark, Peary, Skelly, East Central Jr. High and East Central High School. Dr. Brian Hosmer holds the H.G. Barnard Chair in Western American History at the University of Tulsa, where he’s worked since 2009 following academic positions at the University of Delaware, University of Wyoming, and the University of Illinois at Chicago. While in Chicago, Dr. Hosmer also directed the Newberry Library’s D’Arcy McNickle Center for Native American and Indigenous Studies (formally McNickle Center for American Indian History), a preeminent Native American Studies research center, for a half-dozen years. At TU, Dr. Hosmer teaches a variety of classes covering Indigenous peoples of North America, the North American West, Environmental history, and the History of Oklahoma. Dr. Hosmer has served on the Board of Directors for the Woody Guthrie Center and volunteers with other organizations. Dr. Hosmer is a husband, father of a wonderful daughter, and has two dogs. In his spare time, he likes to travel and work around his home. Representing Eliot, Lanier, Mayo, and Wright elementary schools, and Edison Preparatory School. Ms. Fate was first elected to the Board of Education in April 1996. She served as president from February 1999 through February 2002. Her term will expire February 2020. Ms. Fate is a life-long Oklahoman, graduating from high school in Miami and attending Oklahoma University. She married Martin Fate, Jr. in 1954 and was widowed in 1995. Ms. Fate’s three children, Gary Fate, Steven Fate and Mary Ann Davis, graduated from Memorial High School. Ms. Fate is a charter member of Bethany Christian Church (Disciples of Christ), and a founding member of the Bethany Community pre-school where she taught for ten years. A tireless community volunteer, Ms. Fate is on the Board of Trustees for the National Conference for Community and Justice and currently serves as a docent for the Philbrook Museum of Art. Ms. Fate sits on the boards of the Philbrook Museum, Arts and Humanities Council, OU College of Education Board of Advocates, Center for Counseling, Tulsa Arboretum, and the Phillips Theological Seminary board. 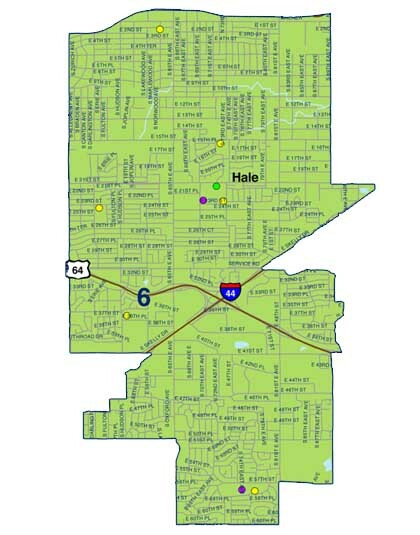 Schools in Ms. Fate’s election district include Bell, Hoover, Jones, MacArthur, and Salk elementary schools; Zarrow International School; Hale Jr. High, Hale High School, Memorial Jr. High, and Street School. Ms. Suzanne Schreiber was elected to her post in February 2018. Her term will expire in February 2022. She has lived in Tulsa more than 20 years. Her passion for public education is fueled by the belief that every child can learn and our community is stronger when all children have access to a quality education. Ms. Schreiber and her husband, Tony Rittenberry, have four children ranging from ages two to ten. Their school-age children are students at Tulsa Public Schools. Suzanne has always been civically active, participating in everything from student government, leadership organizations and charitable boards to middle school mentor and homeroom mother at Grimes Elementary. She is a graduate of the University of Tulsa and the University of Tulsa Law School. She works for the Tulsa Community Foundation on a variety of community improvement projects. Prior to her position at Tulsa Community Foundation, Suzanne practiced law in the private sector and served as a federal law clerk at both the district and appellate levels. 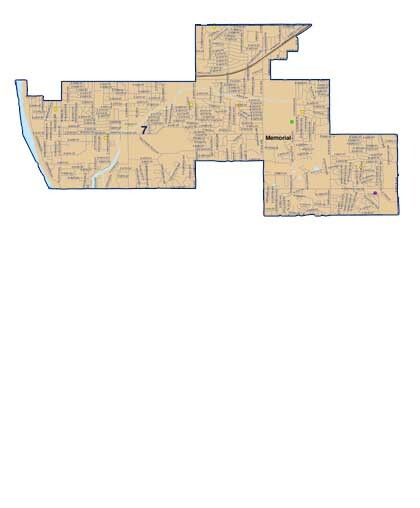 Schools in Ms. Schreiber’s election district include Carnegie, Eisenhower International, Grimes, Grissom, Patrick Henry, Key, Marshall, and McClure elementary schools; Thoreau Demonstration Academy; and Memorial High School. 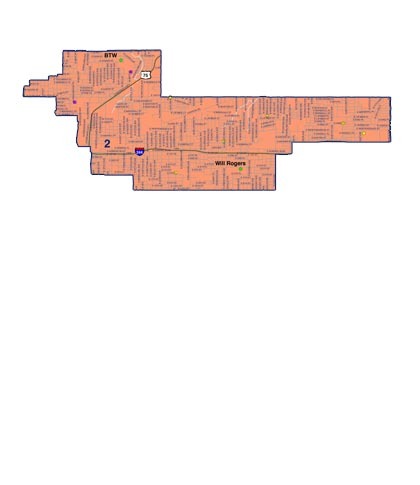 To be eligible to serve on the date of the election, a candidate for school board member must be a citizen of the United States, at least 18 years of age, a registered voter, and a resident of the State of Oklahoma and the school district for at least one year immediately preceding the election. 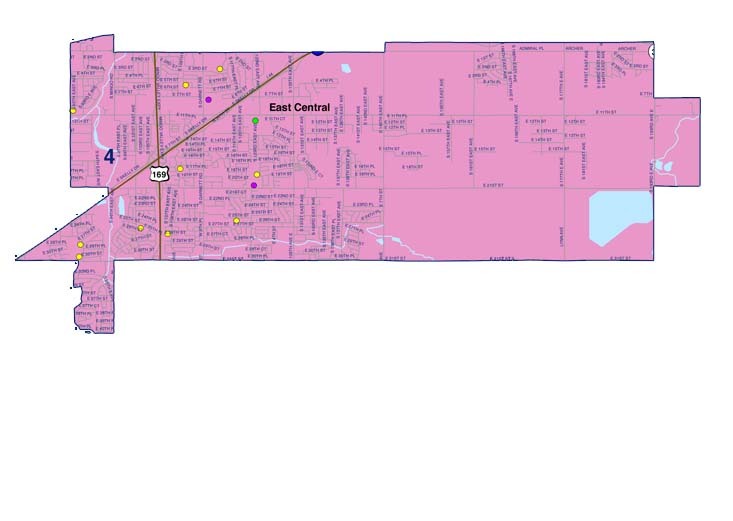 Elections are nonpartisan and board candidates do not indicate a political party affiliation. Candidates should be aware of financial conflict-of-interest limitations set forth in state law. Board Representative: To be determined. Select a meeting type below. Complete any other desired filters or search terms. In the results area, you may need to scroll to the right, past the meeting location, to see the icons to open or download the agenda items. The Board of Education welcomes citizens to speak at the monthly regular board meetings. Citizens can address the board at the regular board meeting in one of two ways: comment concerning items that are on the current agenda or comment concerning issues not on the current agenda. An individual wishing to comment during this portion of a meeting must personally sign and submit a completed request form with all supporting documents to the clerk of the board seven calendar days before the meeting at which the individual wishes to speak. The Board of Education sets district policies upon recommendation from the superintendent. Many policies have a set of procedures, which are approved by the superintendent. Each policy and procedure is thoroughly reviewed by the appropriate staff before making any recommendations to the superintendent or board. For further information, please contact the superintendent's office, either by telephone at 918-746-6800 or by email.